Minimalist but definitely not meek, the Thick Stacking Ring is designed to be worn above or below the knuckle, solo or paired. This ring sure does pack a punch. If you need help with sizing, you can order our physical ring sizer for exact results. This ring covers a lot of knuckle, please order up a half to full size. 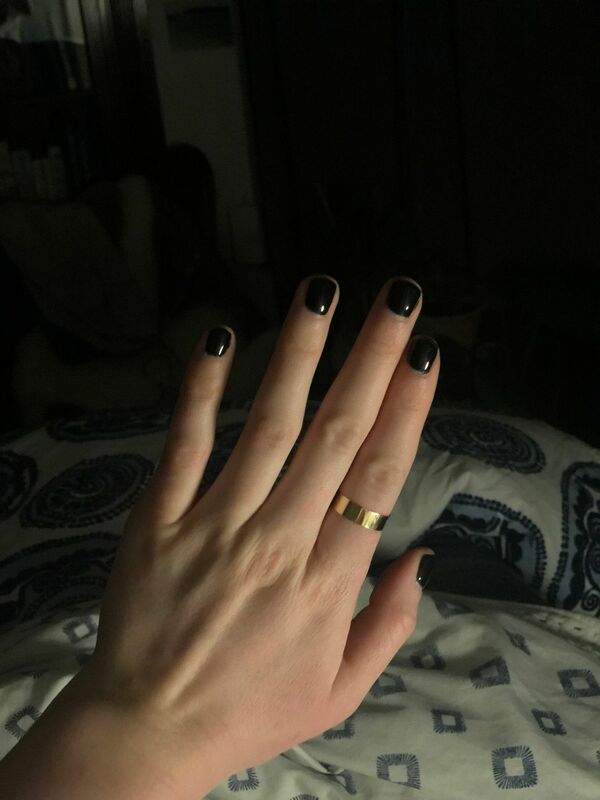 I wanted something simple and easy I could wear everyday, and this ring is perfect. Not too heavy and very comfortable. I will say definitely order up a half to whole size - I ordered up a half but wish I had ordered up a full size. Chandra A. 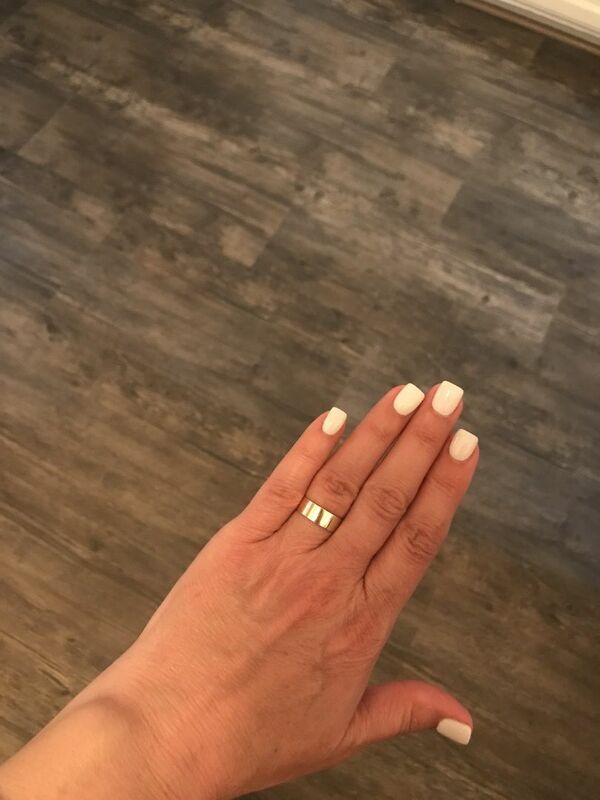 Reviewed by Chandra A.
I got this as a simple, modern flat wedding band because I don’t like the traditional gold bands with the curve. I wanted something that felt like it wasn’t there and didn’t look like every other boring band. I love this and it’s so comfortable. I have been eyeing this ring for months and finally decided to purchase. It is everything I hoped it would be AND more! I love that the band itself is thin and flush with my skin. It is the perfect width and beautiful gold! I followed other's lead and went up a half-size and it fits perfectly on my ring finger. I can't wait to purchase more from Vrai & Oro! Carolina B. Reviewed by Carolina B.